There was a time when people used to forge personal relationships with their doctors. They visited the same one from childhood to adulthood, and sometimes even took their own children to the same doctor who once treated them. If you look at the trend in the healthcare industry today, some experts are predicting that this time is dying. In 2002, more than two thirds of all medical practices in the US were owned by Physicians. Within 3 years from 2005 to 2008, this number dipped to less than 50%. An article in the NY Times recently pointed to this as a signal that there was a fundamental shift taking place in our medical system in the US and it was not due to the recently passed medical reform, but rather the realities of doing business in the healthcare industry today. Most physicians did not go to school to be business people and yet increasing parts of their time over last few years in a private practice was likely to be spent on tasks related to running their business and not practicing medicine. Add to this the high cost of malpractice insurance and how private practices are often getting squeezed between regulators who want everyone to pay “fair” rates for procedures and large insurance companies negotiating heavily on those same procedures – and you have the perfect recipe for the demise of the private practice. Unless you happen to have a medical practice of your own, you are likely wondering what this shift in the medical industry has to do with your small business. Quite a bit, actually. The rapid descent of private practices is a cautionary tale for small businesses in any industry. Though a significant part of this phenomenon is related to market forces in the medical industry (such as the skyrocketing price of malpractice insurance or government mandated IT costs of converting to electronic records), there are some signs that this future was inevitable. Attract the younger generation. Part of the problem that private practices have is that younger doctors coming into the profession don’t have the hunger to have their own practice. Graduating from medical school often deep in debt, this next generation of doctors are frequently opting to take salaried positions at larger healthcare organizations both to pay the bills and to have an easier life (without having to be on call 24/7 every weekend). Get your customers to demand (and value) personal relationships. The sad fact of this entire situation is that patient care in one sense will ultimately suffer … and that is in the personal relationship that you have with your doctor. This is something that people once expected and even demanded, but today it hardly makes the list. If the personal relationships cease to matter, then your business and industry becomes simply “transactional.” Once you become transactional, it’s hard to go back to being anything else. Understand your strengths and hire your complement. 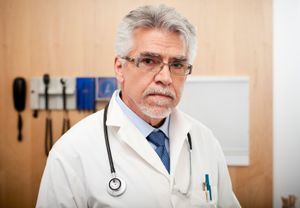 If you look at some of the private practices across the country that are thriving, even in this economy, many have the common thread of a strong business manager (who can often be a different person than the physician(s) whose names are on the door. To truly succeed, as a small business owner you need to understand where your strengths are and how to hire or fill gaps to make your business stronger.